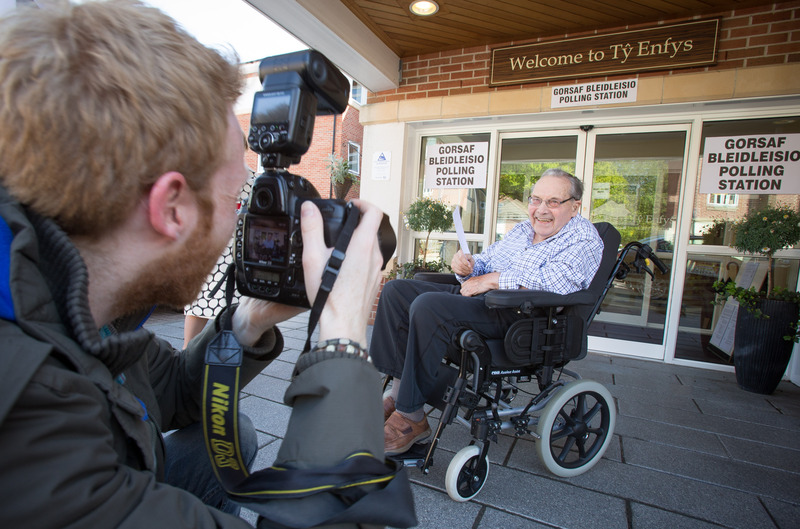 Residents at Ty Enfys, our home in Cardiff, recently starred in the ITV News election coverage after the home was used as a polling station – one of the only care home polling stations in the UK. ITV Wales spoke to residents about their voting experiences and why it’s important to vote at the home which provides residential, nursing and dementia care. The home later appeared in their 6:00pm news broadcast. Meanwhile, over 700 members of the Cardiff Central constituency visited the polling station to vote for their local MP. General Manager at Ty Enfys, Sujjata Singh said: “As a care provider we work very hard to ensure our residents feel valued and that they don’t feel isolated in the local community, so when the opportunity came up to have a polling station at our home, we jumped at it. Ty Enfys which was used as a polling station for the first time this year enjoyed visits throughout the day from media and politicians. Liberal Democrat MP for Cardiff Central Jenny Willott visited the home and spent time with the residents. She later missed out to Tory MP Jo Stevens who took the constituency by 15,462 votes.